At Clearchoice Services, our goal is to provide you with convenient home maintenance services so you have the freedom to spend more time doing what you love. With our know-how of window cleaning and diligent attention to detail, your windows will be done right and look gorgeous every time. Proper gutter maintenance can save you from costly repairs due to water damage or physical damage to your property. We can help. 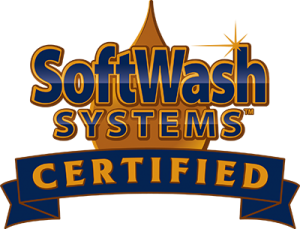 Softwashing is an effective alternative to power washing, and its low-pressure system won’t damage shingles or siding. We can safely and effectively remove stains and discoloration from your roof using our safe, low-pressure cleaning method. For durable surfaces such as concrete, stone and brick, pressure washing can effectively remove dirt and grime. Worried about your home while you’re away? We provide home watch services to ensure your property is safe and unharmed.